Model UN is an educational simulation that allows all those interested in international relations and diplomacy to develop their knowledge of current world affairs, public speaking, and negotiation through participation in simulations of diplomatic conferences and committee meetings of international organisations. Most commonly, these are formal sessions of different UN bodies, although it is not uncommon to come across simulations of other international bodies or organisations, e.g. the EU Parliament, ASEAN, the African Union, UNASUR, and even historical or crisis committees. 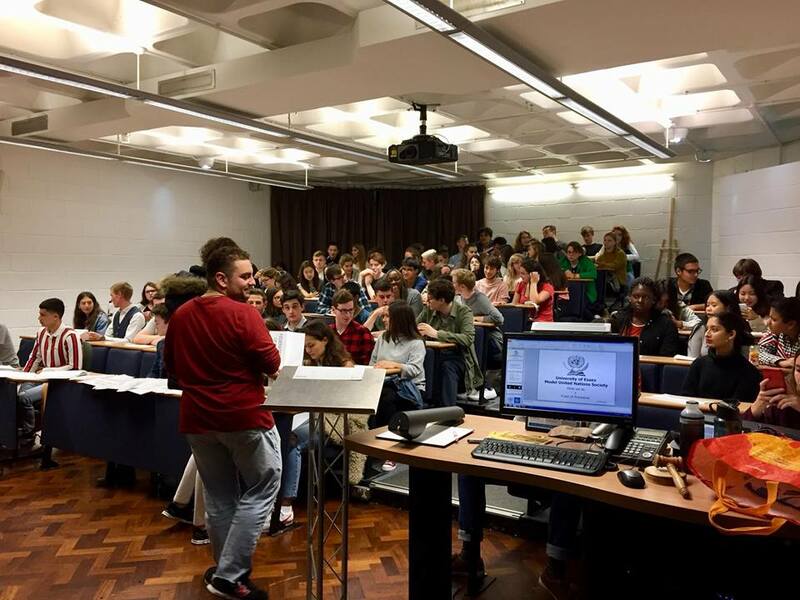 Every year, we try to prepare and send official University of Essex delegations to as many national and international Model UN conferences as we can. Some of the most important conferences we've attended were LIMUN (London), EuroMUN (Maastricht), WarMUN (Warwick), and HamMUN (Hamburg), but we're always trying to expand our repertoire and go to conferences we've never been to before. You can find us on essexstudent, Facebook, Twitter, Instagram, and YouTube! 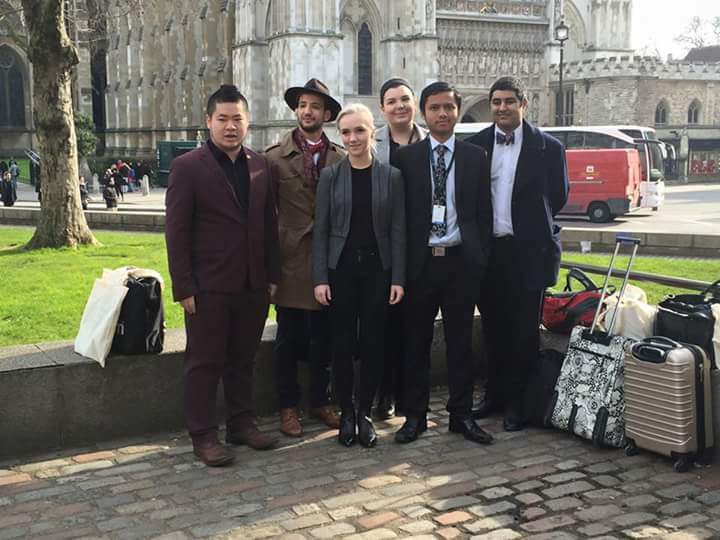 Each Model UN conference normally has a fee for delegations (which is paid for by the society) as well as individual delegates, which can make the costs of going abroad and attending said conferences very high. This is why this year, we want to help our members with individual £50 bursaries to help cover their individual delegate fees. If we hit our minimum target of £500, we will be able to support 10 delegates wishing to go to any of the three international conferences with £50 intended to (partly or fully, depending on the conference) cover the individual delegate fee, which is usually in the range of £50-100 for large international conferences like EuroMUN. If we hit our full target or raise more than that, we will either support 15 delegates with £50 per person or raise the individual society bursary from £50 to £100 should there be less members wishing to go to international conferences. We will aim to give weekly updates on the progress of our campaign on our social media (Facebook, Twitter, Instagram). We would be grateful for any and all donations, but if you can't do it, you can still help us by sharing this project on your social media or telling your friends and family about it!